Currently viewing the tag: "pruning"
You’ve used a pole saw to trim a branch, but it’s still stuck in the tree — now what? Using a tool like Wolf Garten’s Tree Hook you can grab the branch from the ground rather than climbing into the tree to get it down. 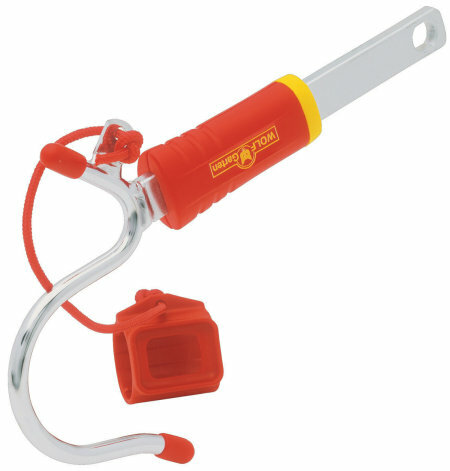 You can also use it to shake fruit tree branches or hang Christmas lights in trees. The S-shaped hook works with any Wolf Interlocken handles, the cheapest of which run $12. The Tree Hook itself runs $16.